Jo trained locally for ministry with the South East Institute of Theological Education (now St Augustine’s Theological College) under the umbrella of Durham University, where she graduated in January 2018. 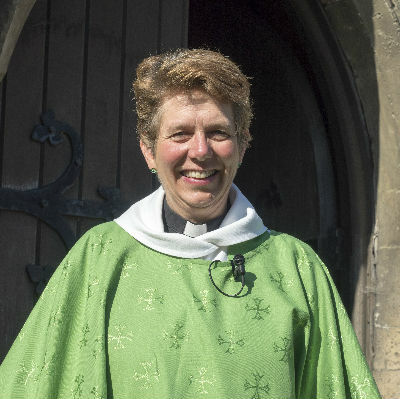 Jo was ordained in Canterbury Cathedral in 2014 and went on to serve her curacy in the Parish of St Martin and St Paul, Canterbury before taking up her role as Rector of St Dunstan, St Mildred and St Peter in 2018. Jo sees her ministry as incarnational, meeting people where they are at, in whatever context that might be, recognising Christ in all that we are and all that we do. Issues relating to social justice and inclusiveness are particularly close to Jo’s heart. Before ordained Ministry, Jo worked as a physiotherapist and ergonomist. 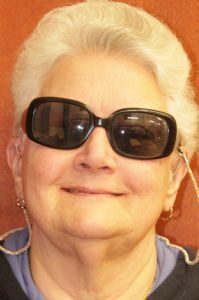 She is married with three children and enjoys walking and the outdoor life in her spare time. Contact Jo Richards via the Benefice Office or use the Contact Form. Alternatively phone 01227 786109. Brother Kevin is a member of the Society of St Francis (SSF). This means he lives in community under the vows of poverty, chastity and obedience, following Christ in the way of St Francis. Find out more about the Society of St Francis. Email Brother Kevin via the Benefice Office or use the Contact Form. Alternatively telephone 01227 786109. Email Jacquie Webber via the Benefice Office or use the Contact Form. Alternatively telephone 01227 786109. Email Jane Gledhill via the Benefice Office or use the Contact Form. Alternatively telephone 01227 786109. 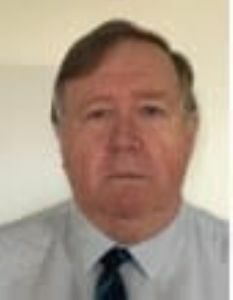 Mr John Morrison - Licensed Lay Minister (Reader) 2011. Retired Army Officer and retired Civil Servant. 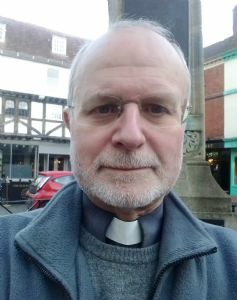 He is on Diocesan Synod and Chaplain to the Canterbury Sea Cadet Corps. Email John Morrison via the Benefice Office or use the Contact Form. Alternatively telephone 01227 786109. Miss Tessa Taylor - I am a Reader, operating mainly at St Mildred's. I am nearly 77 so I'm having a Gap Year from 23 April 2019 until 23 April 2020. Email Tessa Taylor via the Benefice Office or use the Contact Form. Alternatively telephone 01227 786109. 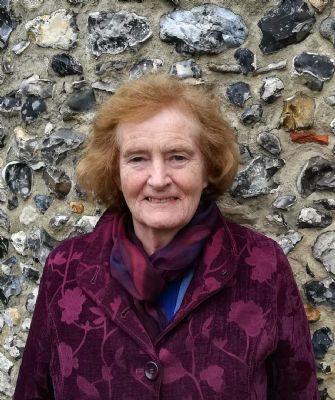 Miss Margaret Wells – Licensed Lay Minister (Reader), based primarily at St Peter's. Voluntary work with children. 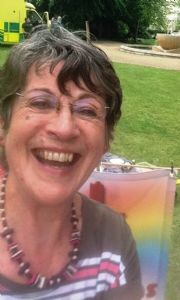 Brownie Leader (7-11); Rainbow Assistant Leader (5-7) and teaching reading to Year 2 Children (6-7). Retired from paid work. Email Margaret Wells via the Benefice Office or use the Contact Form. Alternatively telephone 01227 786109. 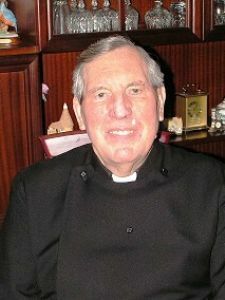 Fr Perry retired to Canterbury in 2009 after 30 years in parish ministry, lastly as rector of St George's Bloomsbury and a Director of Ordinands in the London Diocese. 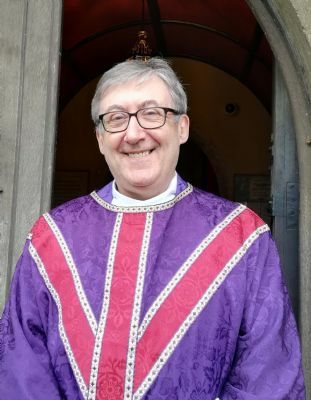 An Oxford DPhil in church history, Perry taught for the Southwark Ordination Course and was Anglican Religious Advisor to London Weekend Television. 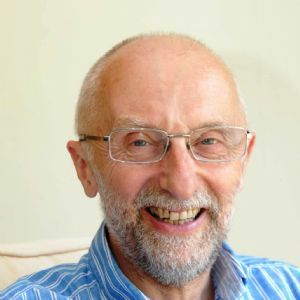 He is an Honorary Fellow of the University of Kent. 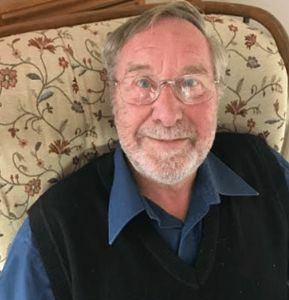 The Reverend Peter Jacobs - Shipwright 1949/54; Royal Air Force 54/57; Timber trade 58/78; Children's Society 79/90; Justice of the Peace 78/98; Reader 72/96; priest 96/present. 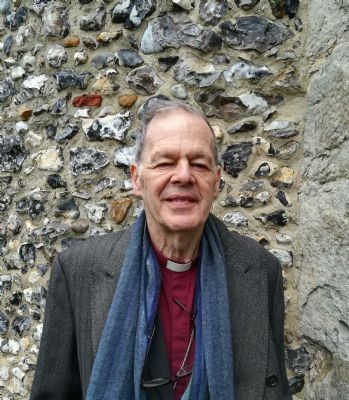 The Reverend Brian McHenry CBE has been a government lawyer, a curate in Deptford and the Vicar of Orpington. He is now an active retiree. The Reverend Iain Taylor, Assistant Priest. Ordained in 2003. Churchwarden 1967 - 1984. Parish Reader 1971 - 2003. Formerly a Gentleman’s Outfitter.